ATTENTION: PLEASE READ THESE TERMS AND CONDITIONS VERY CAREFULLY. BY ACCEPTING DELIVERY OF THE PRODUCTS STATEMENT OF WORK OR OTHER BEPOZ AMERICA LLC, D/B/A BEPOZ (HEREINAFTER REFERRED TO AS “SELLER”) DOCUMENTATION TO PROVIDE PRODUCT OR PERFORM OR PROCURE ANY SERVICES, CUSTOMER HEREBY AGREES TO BE BOUND BY, AND ACCEPTS, THESE TERMS AND CONDITIONS. ANY GENERAL DESCRIPTION OF THE TYPES OF PRODUCTS OR SERVICES AND RESULTS THEREOF POSTED ON THE WEBSITE DO NOT CONSTITUTE PART OF THIS AGREEMENT. Seller/Licensor is BEPOZ.com, a website owned and operated by Bepoz America, LLC, a Delaware limited liability company, with offices at 111 Clebourne St. Suite 220, Fort Mill, SC 29715. All questions should be directed to 803.802.2404 or faxed to 803.802.4116. These Terms and Conditions (hereinafter referred to as this “Agreement) constitute a binding contract between Customer and Seller. Customer accepts these Terms and Conditions by making a purchase from, or by placing an order with, Seller or, by shopping on Seller’s Website (the “Site”) or, by otherwise requesting products (the “Products”) or engaging Seller to perform or procure any Services (as this and all capitalized terms are defined herein). This Agreement is subject to change, from time to time, without any prior notice, except that the Terms and Conditions posted on the our Website at the time Customer places an order or signs a purchase Invoice with a “Statement of Work” will govern the order in question, unless otherwise agreed to in writing by Seller and Customer. Customer consents to receiving electronic records, which may be provided via a Web browser or e-mail application connected to the Internet; individual consumers may withdraw consent to receiving electronic records or have the record provided in non-electronic form by contacting Seller. In addition, Internet connectivity requires access services from an Internet access provider. Contact your local access provider for details. Electronic signatures (or copies of signatures sent via electronic means) are the equivalent of written and signed documents. Customer may issue a purchase order for its own administrative purposes only. Additional or different terms and conditions contained in any such purchase order, however, will be null and void. Except in the case of nonpayment, neither party may institute any action in any form arising out of this Agreement more than one (1) year after the cause of action has arisen. The rights and remedies provided Seller under this Agreement are cumulative, are in addition to, and do not limit or prejudice any other right or remedy available at law or in equity. Orders are processed by the Fulfillment Department within 48 hours from submission. After processing, the shipping method and timeframes purchased will apply. The typical expected delivery timeframe of a complete system build is 7-14 days. Customer is advised to contact the Customer Service Department for an accurate arrival quote. Ground shipping is the general method of shipment (3-7 days). Expedited shipping may be purchased at the time of sale or prior to ship-out. Shipping cannot be intercepted nor expedited once in the possession of the carrier. Seller and/or its affiliates will arrange shipping, crating and packaging. Seller neither accepts responsibility for the carrier’s performance, nor accepts any responsibility for damages caused to the merchandise after it leaves Seller’s office or warehouse location. If damage occurs en route to Customer, Seller will aid with handling the damage claim with the shipper; however, Customer will be responsible for filing a damage claim with the carrier. Inspection for concealed damage will be the sole responsibility of Customer. Any and all damaged equipment must be documented with the freight driver before the driver departs your location. Any damage must be reported immediately. Insurance will be used on all equipment shipped. If the item is shipped within South Carolina, or if you pick it up at our office appropriate sales tax will be charged. If Customer provides Seller with Customer’s carrier account number or selects a carrier, other than a carrier that regularly ships for Seller, title to Products and risk of loss or damage during shipment pass from Seller to Customer upon delivery to the carrier (F.O.B. Origin, freight collect). For all other shipments, title to Products and risk of loss or damage during shipment pass from Seller to Customer upon delivery to the specified destination (F.O.B. Destination, freight prepaid and added). Notwithstanding the foregoing, title to software will remain with the applicable licensor(s), and Customer’s rights therein are contained in the license agreement between such licensor(s) and Customer. Customers may order services, warranty, support, and/or training (collectively, “Services”) from or through Seller. Certain Services may be sold by Seller as a distributor or dealer partner/reseller (“Third Party Services”). In the case of Third Party Services, the third party shall be the party responsible for providing the services to the Customer and, Customer agrees that the Customer will look solely to the third party for any loss, claims or damages arising from, or related to, the provision of such Third Party Services. Customer hereby releases Seller and the entities that control, are controlled by, or are under common control with Seller (“Affiliates”), from any and all claims arising from, or relating to, the purchase or provision of any such Third Parties Services. Any amounts, including, but not limited to, taxes, associated with Third Party Services which may be collected by Seller will be collected solely in the capacity as an independent sales agent. Where Services are ordered in a Statement of Work, each Statement of Work hereby incorporates the terms of this Agreement. Each Statement of Work constitutes a separate agreement with respect to the Services performed. Seller, or any of its Affiliates on behalf of Seller, may execute a Statement of Work. In the event of an addition to, or a conflict between any term or condition of the Statement of Work and this Agreement, the terms and conditions of this Agreement will control, except as expressly amended in the applicable Statement of Work by specific reference to this Agreement. Each such amendment will be applicable only with respect to such Statement of Work and not to any future Statements of Work. Changes to the scope of the Services described in a Statement of Work will be made only in a writing, executed by authorized representatives of both parties. Seller will have no obligation to commence work in connection with any such change, unless, and until, the change is agreed upon in that writing executed by both parties. All such changes to the scope of the Services will be governed by these Terms and Conditions and the applicable Statement of Work. Each Statement of Work may be signed in separate counterparts each of which shall be deemed an original and all of which together will be deemed to be one original. In addition to any specific Customer duties set forth in any applicable Statement of Work, Customer agrees to cooperate with Seller in connection with performance of the Services by providing (i) timely responses to Seller’s inquiries and requests for approvals and authorizations, (ii) access to any information or materials reasonably requested by Seller which are necessary or useful as determined by Seller in connection with providing the Services, including, but not limited to, physical and system/computer access to Customer’s computer systems, and (iii) all Required Consents necessary for Seller to provide the Services. “Required Consents” means consents or approvals required to give Seller, its Affiliates, and its and their subcontractors the right or license to access, use and modify all data and third party products. Customer acknowledges and agrees that the Services are dependent upon the completeness and accuracy of information provided by Customer and the knowledge and cooperation of the agents, employees or subcontractors (“Personnel”) engaged or appointed by Customer who are selected by Customer to work with Seller. Payment. If purchasing only hardware, software, services or supplies, customer is responsible for payment in full at the time the order is placed. 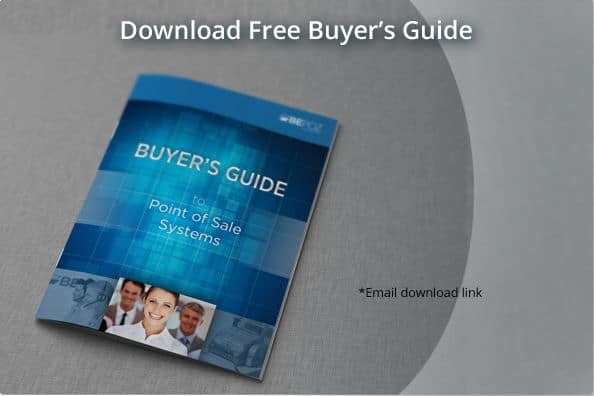 If purchasing a complete system build, 50% of the total cost will be charged as an initial deposit; the remaining 50% of the invoiced amount will be charged within 24 hours of shipment of the system. Charges on customer’s credit card statement will reflect BEPOZ AMERICA, LLC. Orders are not binding upon Seller until accepted by Seller. Customer agrees to pay the total purchase price for the Products, plus shipping (to the extent shipping is not prepaid by Customer), including shipping charges that are billed to Seller as a result of using Customer’s carrier account number. Terms of payment are within Seller’s sole discretion. In connection with Services being performed pursuant to a Statement of Work, Customer will pay for the Services in the amounts and in accordance with any payment schedule set forth in the applicable Statement of Work. 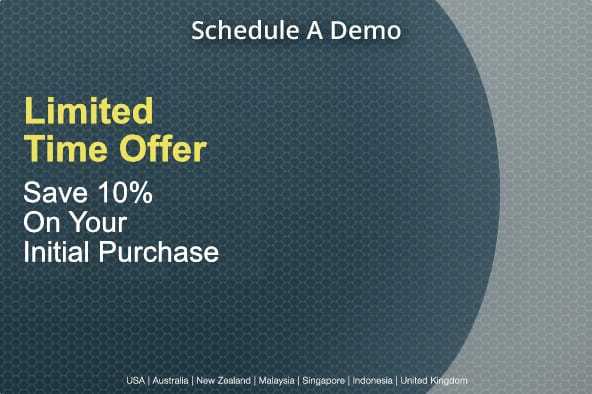 If no payment schedule is provided, Customer will pay for the Services as invoiced by Seller. Invoices are due and payable within the time period specified on the invoice, measured from the date of invoice, subject to continuing credit approval by Seller. Seller may issue an invoice to Customer. Seller may invoice Customer separately for partial shipments, and Seller may invoice Customer for all of the Services described in a Statement of Work or any portion thereof. Customer agrees to pay interest on all past-due sums at the lower of one and one-half percent (1.5%) per month or the highest rate allowed by law. Customer will pay for, and will indemnify and hold Seller and its Affiliates harmless from, any applicable sales, use, transaction, excise or similar taxes and any federal, state or local fees or charges (including, but not limited to, environmental or similar fees), imposed on, in respect of or otherwise associated with any Statement of Work, the Products or the Services. Customer must claim any exemption from such taxes, fees or charges at the time of purchase and provide Seller with the necessary supporting documentation. In the event of a payment default, Customer will be responsible for all of Seller’s costs of collection, including, but not limited to, court costs, filing fees and attorneys’ fees. In addition, if payments are not received as described above, Seller reserves the right to suspend Services until payment is received. Customer understands that Seller is not the manufacturer of the Products purchased by Customer hereunder and the only warranties offered are those of the manufacturer, not Seller or its Affiliates. In purchasing the Products, Customer is relying on the manufacturer’s specifications only and is not relying on any statements, specifications, photographs or other illustrations representing the Products that may be provided by Seller or its Affiliates. SELLER AND ITS AFFILIATES HEREBY EXPRESSLY DISCLAIM ALL WARRANTIES EITHER EXPRESS OR IMPLIED, RELATED TO PRODUCTS, INCLUDING, BUT NOT LIMITED TO, ANY WARRANTY OF TITLE, ACCURACY, MERCHANTABILITY OR FITNESS FOR A PARTICULAR PURPOSE, WARRANTY OF NONINFRINGEMENT, OR ANY WARRANTY RELATING TO THIRD PARTY SERVICES. THE DISCLAIMER CONTAINED IN THIS PARAGRAPH DOES NOT AFFECT THE TERMS OF ANY MANUFACTURER’S WARRANTY, SELLER’S 30-DAY OR URGENT CARE WARRANTY. Customer expressly waives any claim that it may have against Seller or its Affiliates based on any product liability or infringement or alleged infringement of any patent, copyright, trade secret or other intellectual property rights (each a “Claim”) with respect to any Product and also waives any right to indemnification from Seller or its Affiliates against any such Claim made against Customer by a third party. Customer acknowledges that no employee of Seller or its Affiliates is authorized to make any representation or warranty on behalf of Seller or any of its Affiliates that is not in this Agreement. Seller warrants that the Services will be performed in a good and workmanlike manner. Customer’s sole and exclusive remedy and Seller’s entire liability with respect to this warranty will be, at the sole option of Seller, to either (a) use its reasonable commercial efforts to re-perform or cause to be re-performed any Services not in substantial compliance with this warranty or (b) refund amounts paid by Customer related to the portion of the Services not in substantial compliance; provided, in each case, Customer notifies Seller in writing within five (5) business days after performance of the applicable Services. EXCEPT AS SET FORTH HEREIN OR IN ANY STATEMENT OF WORK THAT EXPRESSLY AMENDS SELLER’S WARRANTY, IF ANY, AND SUBJECT TO APPLICABLE LAW, SELLER MAKES NO OTHER, AND EXPRESSLY DISCLAIMS ALL OTHER, REPRESENTATIONS, WARRANTIES, CONDITIONS OR COVENANTS, EITHER EXPRESS OR IMPLIED (INCLUDING WITHOUT LIMITATION, ANY EXPRESS OR IMPLIED WARRANTIES OR CONDITIONS OF FITNESS FOR A PARTICULAR PURPOSE, MERCHANTABILITY, DURABILITY, TITLE, ACCURACY OR NON-INFRINGEMENT) ARISING OUT OF OR RELATED TO THE PERFORMANCE OR NON-PERFORMANCE OF THE SERVICES, INCLUDING BUT NOT LIMITED TO ANY WARRANTY RELATING TO THIRD PARTY SERVICES, ANY WARRANTY WITH RESPECT TO THE PERFORMANCE OF ANY HARDWARE OR SOFTWARE USED IN PERFORMING SERVICES AND ANY WARRANTY CONCERNING THE RESULTS TO BE OBTAINED FROM THE SERVICES. THIS DISCLAIMER AND EXCLUSION SHALL APPLY EVEN IF THE EXPRESS WARRANTY AND LIMITED REMEDY SET FORTH HEREIN FAILS OF ITS ESSENTIAL PURPOSE. CUSTOMER ACKNOWLEDGES THAT NO REPRESENTATIVE OF SELLER OR OF ITS AFFILIATES IS AUTHORIZED TO MAKE ANY REPRESENTATION OR WARRANTY ON BEHALF OF SELLER OR ANY OF ITS AFFILIATES THAT IS NOT IN THIS AGREEMENT OR IN A STATEMENT OF WORK EXPRESSLY AMENDING SELLER’S WARRANTY. No Returns Or Refunds. No returns or refunds will be granted on purchases made using Visa, MasterCard, American Express, or Discover. No returns or refunds will be granted on the purchase of software, supplies, and services or labor. Unless covered by our 30-day or urgent care warranty, no returns or refunds will be granted on the purchase of hardware. Notwithstanding, BEPOZ AMERICA LLC reserves the right to allow or disallow customer returns based on the policies of the original product manufacturer and/or distributor. Software is not returnable if the packaging has been opened and/or registered. If software was distributed electronically, it is not returnable if the licenses were downloaded. Unless otherwise noted, Customer may request a product return or RMA. BEPOZ AMERICA LLC reserves the right to allow or disallow customer returns based on the policies of the original product manufacturer and/or distributor. 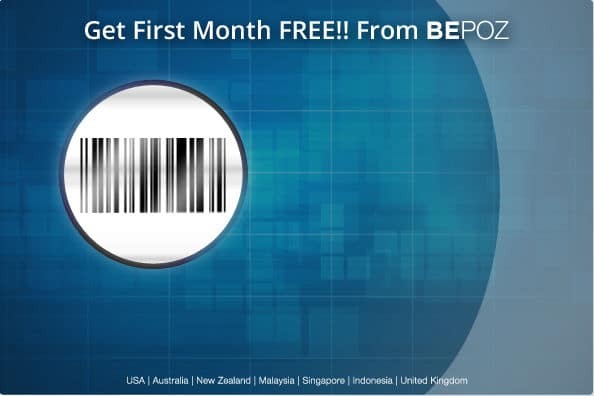 Most products can be returned directly to Bepoz. Items must be received within 25 days from the date of the invoice. To receive credit, all returned items must arrive in perfect working condition, be returned in their complete original packaging, include all cables, manuals and other information originally found in their sealed packaging, and be in “new” condition (i.e. no dents, scratches, obvious signs of use, etc). Once the package is received, inspected and accepted by BEPOZ AMERICA LLC, a credit will be issued within 15 business days, less shipping costs and any applicable restocking fees defined herein. Return shipping is the sole responsibility of the customer. Labor and Services, including, but not limited to Training, Technical Support Packages, Menu Programming, Inventory Import, and Hardware Setup. Gift cards, media, and software are not available for return. For orders under $1,000, a 15% restocking fee will be assessed. However, if the customer elects to receive “Store Credit”, the restocking fee will be reduced to 5%. $500 assessed restocking fee per station and/or unit. Stations and/or units are defined as any Back Office, Main Register, and/or Other Workstation. Within 30 days of the original invoice date, products in non-working condition upon receipt will be replaced or refunded, should the Seller so choose. Customers should contact BEPOZ AMERICA LLC Customer Service Department to request a return or for any additional information. Customers must notify BEPOZ AMERICA LLC of any damaged Products within fifteen (15) days of receipt. 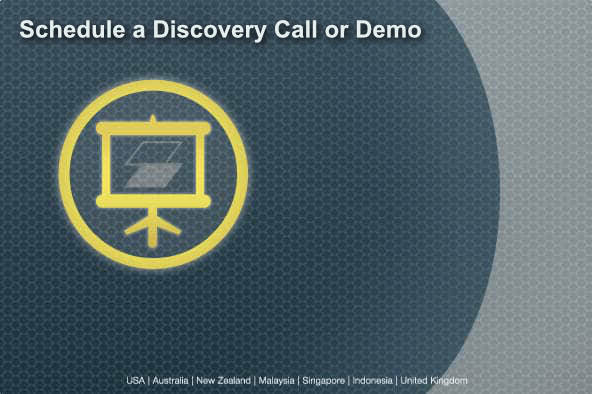 Return requests must be reported in writing upon discovery, as Bepoz does not guarantee acceptance of returns beyond 30 days of the original invoice date. After 30 Days from original invoice date the product(s) are subject to the appropriate Warranty package purchased at the time of initial sale. See Warranty Benefits Explanation. Either party may terminate performance of a Service or a Statement of Work for cause if the other party fails to cure a material default in the time period specified herein. Any material default must be specifically identified in a written notice of termination. After written notice, the notified party will, subject to the provision of warranties herein, have thirty (30) days to remedy its performance except that it will only have ten (10) days to remedy any monetary default. Failure to remedy any material default within the applicable time period provided for herein will give cause for immediate termination, unless such default is incapable of being cured within the time period in which case the defaulting party will not be in breach (except for Customer’s payment obligations) if it used its reasonable efforts to cure the default. In the event of any termination of the Services or a Statement of Work, Customer will pay Seller for all Services performed and expenses incurred, up to, and including, the date of termination, plus any termination fee, if one is set forth in the applicable Statement of Work. In such event, Customer will also pay Seller for any out-of-pocket demobilization or other direct costs resulting from termination. Upon termination, all rights and obligations of the parties under this Agreement will automatically terminate except for any right of action occurring prior to termination, payment obligations and obligations that expressly or by implication are intended to survive termination (including, but not limited to, limitation of liability, indemnity, confidentiality, or licensing of Work Product and this survival provision). Any claim, dispute, or controversy (whether in contract, tort or otherwise, whether preexisting, present or future, and including, but not limited to, statutory, common law, intentional tort and equitable claims) arising from or relating to the Products, the Services, the interpretation or application of these Terms and Conditions or any Statement of Work or the breach, termination or validity thereof, the relationships which result from these Terms and Conditions or any Statement of Work (including, to the full extent permitted by applicable law, relationships with third parties who are not signatories hereto), or Seller’s or any of its Affiliates’ advertising or marketing (collectively, a “Claim”) WILL BE RESOLVED EXCLUSIVELY AND FINALLY BY BINDING ARBITRATION. If arbitration is chosen, it will be conducted pursuant to the Rules of the American Arbitration Association. If arbitration is chosen by any party with respect to a Claim, neither Seller nor Customer will have the right to litigate that Claim in court or to have a jury trial on that Claim or to engage in pre-arbitration discovery, except as provided for in the applicable arbitration rules or by agreement of the parties involved. Further, Customer will not have the right to participate as a representative or member of any class of claimants pertaining to any Claim. Notwithstanding any choice of law provision included in these Terms and Conditions, this arbitration agreement is subject to the Federal Arbitration Act (9 U.S.C. §§ 1-16). The arbitration will take place exclusively in Fort Mill, South Carolina. Any courts having jurisdiction may enter judgment on the award rendered by the arbitrator(s). Each party involved will bear its own cost of any legal representation, discovery or research required to complete arbitration. The existence or results of any arbitration will be treated as confidential. Notwithstanding anything to the contrary contained herein, all matters pertaining to the collection of amounts due to Seller, arising out of Consumer’s failure to pay for Products or Services, will be exclusively litigated in the District or Superior Courts of York County, South Carolina, rather than through arbitration. Seller may assign or subcontract all or any portion of its rights or obligations with respect to the sale of Products or the performance of Services or assign the right to receive payments, without Customer’s consent. Subject to the restrictions in assignment contained herein, these Terms and Conditions will be binding on and inure to the benefit of the parties hereto and their successors and assigns. No provision of this Agreement or any Statement of Work will be deemed waived, amended or modified by either party unless such waiver, amendment or modification is in writing and signed by both parties. The relationship between Seller and Customer is that of independent contractors and not that of employer/employee, partnership or joint venture. If any term or condition of this Agreement or a Statement of Work is found by a court of competent jurisdiction to be invalid, illegal or otherwise unenforceable, the same shall not affect the other terms or conditions hereof or thereof or the whole of this Agreement or the applicable Statement of Work. Notices provided under this Agreement will be given in writing and deemed received upon the earlier of actual receipt or three (3) days after mailing if mailed, postage prepaid, by regular mail or airmail or one (1) day after such notice is sent by courier or facsimile transmission. Any delay or failure by either party to exercise any right or remedy will not constitute a waiver of that party to thereafter enforce such rights.